“Whatever you are planning, now is the time, go for it!”. This was the prophetic word from Chris Cartwright, an associate minister at Kensington Temple to Vanessa after a Sunday morning service in October 1991. Unknown to him, the Lord had spoken very clearly to Soke Mun on the night before to plant a church in Wembley and to launch with a Christmas party. Wembley Christian Centre was born on Sunday 5 January 1992.Twenty two years later, the church continues to grow and fulfil its vision to reach the nations of the world. 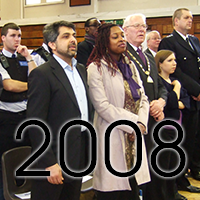 Wembley Christian Centre (WCC) began its life as the Wembley Christian Fellowship (WCF) a church plant of Kensington Temple (KT), an Elim Pentecostal church.WCF was born out of obedience to God’s call. At that time Vanessa Richardson and Soke Mun Ho did not have experience in church leadership or formal Bible school training. Soke Mun is a dentist. Vanessa was a trainer for secretaries with the Industrial Society. Vanessa and Soke Mun were two most unlikely candidates for church planting. Yet they answered the call and embarked on the most exciting adventure of their lives. With hindsight, they realised that God had been preparing them for the task. 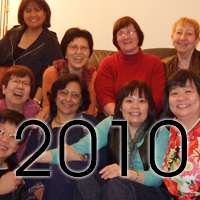 Firstly, they were part of a team that planted a KT church in Harrow. There they gained invaluable insight and wisdom as they served. Unknown to them, it was a God ordained opportunity to observe the process of a church plant- the strategies and the practicalities. Prayer was the other major factor. From January 1991, Vanessa and Soke Mun were drawn to meet weekly to pray. Prayers were not directed to church planting, the furthest thing from their minds! The prayer times were simply about enjoying God’s presence. Vanessa was always playing the piano and much of the prayers were “in unknown tongues”. Now they realised that it was in those times that the church was birthed in the spiritual realm. Things took off in April 1991. A heroin addict was converted to Jesus in Soke Mun’s surgery whilst on the dental chair! The depth of the addiction was profound and it was a struggle for her to travel the five miles to KT. As a result the follow up and ministry proved to be difficult. Another woman received healing through prayer and was converted. Within a short time, God touched several people. Gradually it became clear that a local witness was needed. Incidentally, the first convert went on to be successfully rehabilitated. She has remained ‘clean’ all these years. She is happily settled in a stable loving relationship and has a lovely teenage daughter. The family are now committed Christians. The call to plant a church began to grow. On 19 0ctober 1991, the Lord spoke clearly to Soke Mun about the launch of the church plant. This was confirmed for them both by a number of significant prophetic words from Pastor Colin Dye, Chris Cartwright, Roberts Liardon and others. 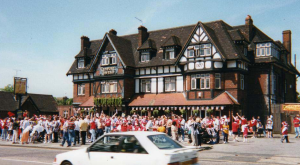 The church’s first venue was the Lord’s Bar, the function room of the local public house, the Century Tavern – named thus after a cricketing theme. It held up to 50 people and cost £20 to hire for 4 hours! The price included tea and coffee. What a blessing! Their first ever invitation to the community was “Come on in and taste the new wine”. This was boldly written on the welcome signboard presented to them by the pub manager who committed his life to Jesus six months later. WCC’s leadership was unique. 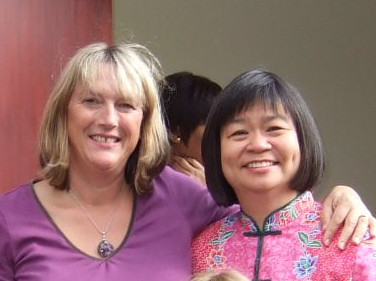 Vanessa and Soke Mun were joint pastors of WCC for the first eight years: two ‘heads’ functioning as one. This dual leadership model was recognised and well accepted by the congregation. Merdena and Ruth Ferguson formed the initial leadership team. In 1993 Elisabeth Tootill joined in the capacity of finance administrator, however had to stand down in 1997 due to work commitments. Her husband Richard joined the team in October 1998 and Isobel Brunt in August 2002. Brian Richardson was on the team from October 1999 till July 2003. Many different people and events have impacted and shaped the church and its growth. 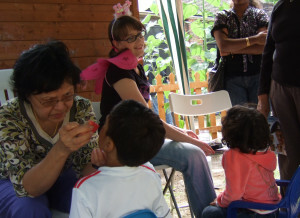 The events include several evangelistic outreaches, church plants in Alperton and Pinner and the adoption of the G12 vision (a cell church/discipleship model). 1998 was a significant and exciting year for WCC. 1. 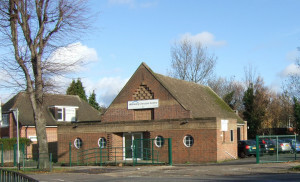 The Pinner church plant was founded. 2. They saw God heal miraculously on the streets and in the church. 3. They experienced tremendous breakthroughs in worship. 4. The church relocated to Preston Manor High School. The change of venue created an opportunity for the leadership team to introduce the name change for the church from Wembley Christian Fellowship to Wembley Christian Centre. 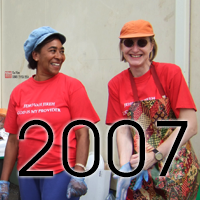 The name “Wembley Christian Centre” had been on their hearts for many years as it reflected more fully their vision, not only to have Christian fellowship but also to impact the community at large. 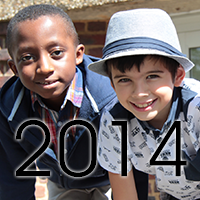 Over the years, the fundamental vision, mission and driving purpose of WCC have remained the same. The horizon is where heaven and earth meet and the driving purpose of the church is to be a people of the horizon, to so touch heaven themselves that their lives will impact the world around them. ‘Touching heaven, changing earth’. For each one, it means to know God Himself resides in the believer, to submit to the Lordship of Jesus and live daily in dependence on the presence and resources of the Holy Spirit. 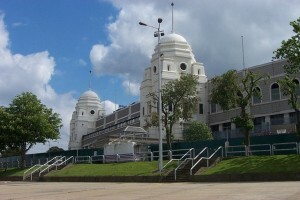 The vision statement is “Wembley and the world for Christ”. Their mission statement is to “Reach out, Restore and Release” based on their scriptural mandate from Isaiah 61: 1-3. Their heart’s desire is to see people reach their full potential, to release them into the community to be part of the answer rather than part of its problems. In 2001, the church transitioned into a cell church and adopted the G12 vision. The vision awakens the leadership and evangelistic call in each believer. As a result church members have grown in maturity and effective leaders have been raised up. WCC is now established as an Elim Church where discipleship and cell ministry are the core values. Another WCC goal is to see every member in the marketplace or sphere of influence operating at their fullest capacity, irrespective of occupation. Members receive an understanding of God’s divine call on them in the workplace. The marketplace is crucial to every community. It is where the captains of industry and commerce hold sway over the nations of the world. It is also the place where most of us earn our living and interact with others. It is not by chance that Jesus was born the son of a carpenter: a businessman in the marketplace. 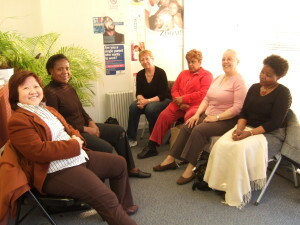 A WCC business group was launched in 2001. 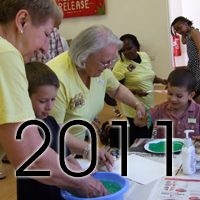 The WCC story would be incomplete without mentioning the children and young people’s work. In the world, there are junior dosages of medicine for children. However in God’s kingdom, there is no junior dosage of the Holy Spirit. WCC believe that the young must know and enjoy the fullness of the Holy Spirit in their lives. 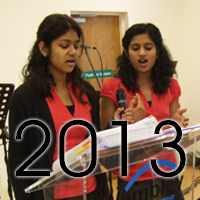 With this conviction, Sunday School was started in October 1994 and youth work in October 1999. In 2000, Vanessa’s launch into itinerant ministry with her husband Brian changed the leaders’ team into a ‘single’ leader ministry. The church is embarking on a building project to provide a focal point for the community. Wembley Christian Centre, an Elim Pentecostal Church, continues on her exhilarating journey of faith started 22 years ago, making space for His Amazing Grace to reach the community and the nations of the world.